DISCOUNT AUTOMATICALLY APPLIES AT CHECKOUT ON QUALIFIED ITEMS. *One coupon/discount per transaction. Cannot combine with any other discount or coupon code. 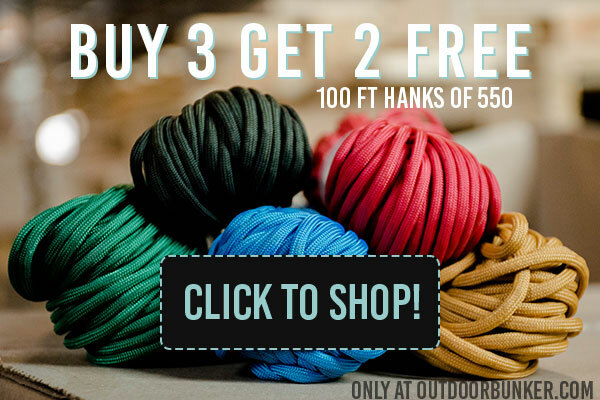 **Offer valid only on 100ft hanks of 550 paracord. Excludes spools.Outdoor Bunker reserves the right to change or cancel these offers at any time. Copyright © 2017 Outdoor Bunker, All Rights Reserved.